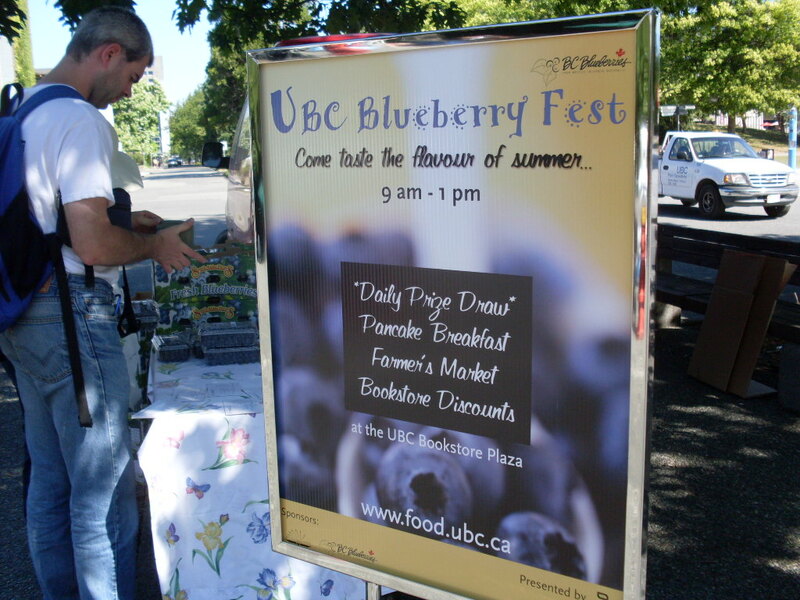 This post is a little overdue – I bought many pounds of blueberries a few weeks ago at the UBC Blueberry Festival, but I put them all in the freezer in order to procrastinate … because I don’t like blueberries. Or so I often think. 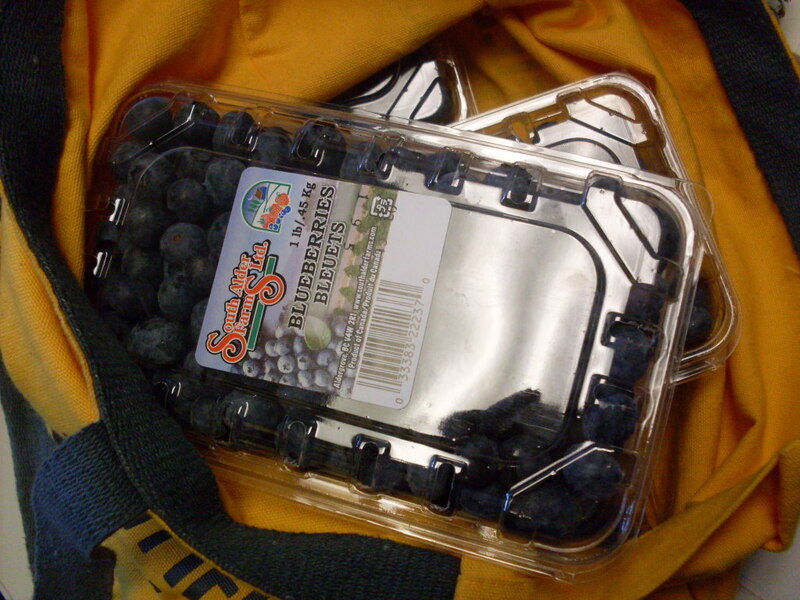 Blueberries, picked at their seasonal peak under the warm July sun are really very nice. They’re sweet-tart, not mealy little perfume balls, which is how they taste to me whenever I have them at any point during the rest of the year. I get cranky when I find them in muffins where they usually turn out to be flavourless little wet spots in what would otherwise be a perfectly edible baked good. And their unusually floral musk turns up in smoothies and juice – there was awhile there, before manufacturers started whoring out pomegranate or açai, when blueberries were deemed the healthiest thing ever and they were in everything. I had a tantrum one morning when I went to put my lunch together and found that Nick had eaten all the other flavours of yogurt, leaving only blueberry behind. But they’re not all bad, and I forget that, and then July comes and I eat one and it’s a surprise every time. Oh! These aren’t yucky at all! I think, and then I enjoy blueberries for two weeks until there are none left and then disregard them again until the following year. That’s what happened here – I was afraid of them, then I ate some, and then blueberry crisp. The recipe that follows has lived in my head for as many years as I can remember – for a long time, “crisps” were the only dessert I knew how to make. It’s a crisp like my parents would make, and there are no oats in it. No nuts, because my Dad is allergic, though if you’re not feeding him you can go right ahead and toss a handful into the crumble and he won’t mind. Just butter and sugar, and some flour to keep it all together, and that’s really all you need. You can make this with apples, peaches – any fruit you like. When I was a kid it often contained rhubarb from the plant out back, and that was very good. You can make anything tasty, even a blueberry, by simply topping it with butter and brown sugar. Lightly grease a 1.5-quart baking dish. Preheat oven to 375°F. Create a slurry out of the cornstarch, 1/4 teaspoon of salt, and the maple syrup, then pour over blueberries and toss to coat. Put blueberries in baking dish. 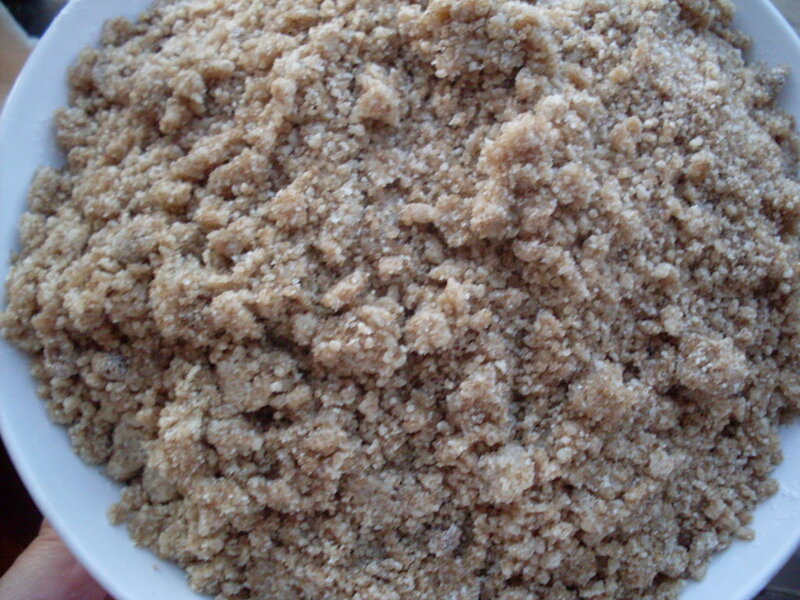 Combine flour, sugar, 1/4 teaspoon of salt, butter, and cinnamon, and crumble with your fingers to create a lumpy, streusel-looking mixture. Dump on top of blueberries, pressing down gently do ensure your crumble stays put. Put the whole lovely mess into the oven and bake for 35 to 40 minutes, or until the top is crisp and golden and blueberry goo is bubbling up on the sides. Serve warm, with ice cream. Though if, like me, you are bad at planning ahead and don’t have ice cream, it’s just as delicious without. < Previous Chard risotto with a soupçon of whining. Next > This soup we like with zucchini, tomatoes, and tofu. This looks like the RIGHT thing to do with blueberries. 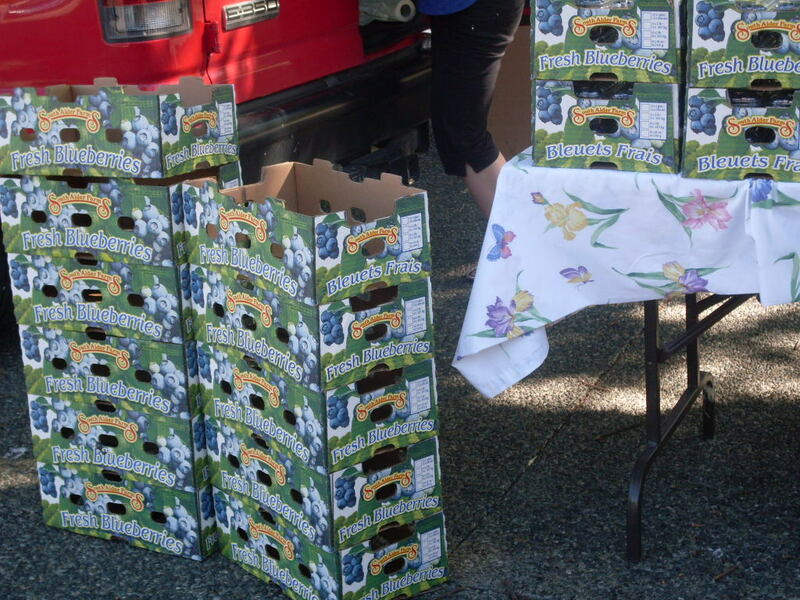 Also, canning them in gin-infused syrup — they were really good on ice-cream that way. I don’t normally like them but they are craving city right now! Sounds yummy. Fresh picked Fruits or vegetables are a hundred times more tasty than anything that winds it’s way to the grocery store. It’s a shame you procrastinated on making that delicious dish. It all would have been even better before you tossed them in the freezer. I laughed when reading this because I too would leave blueberry foods till last (including yogurt). 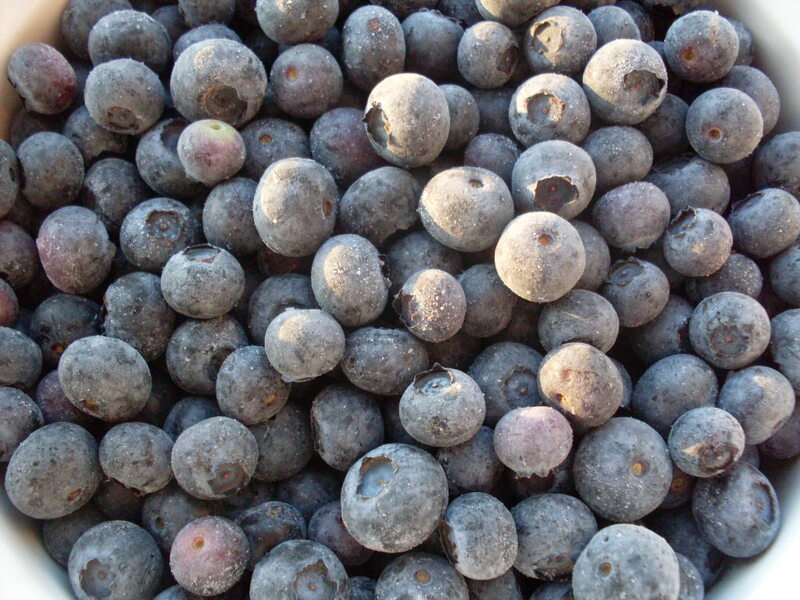 But come summer I did buy lots of blueberries cuz they are so much better. 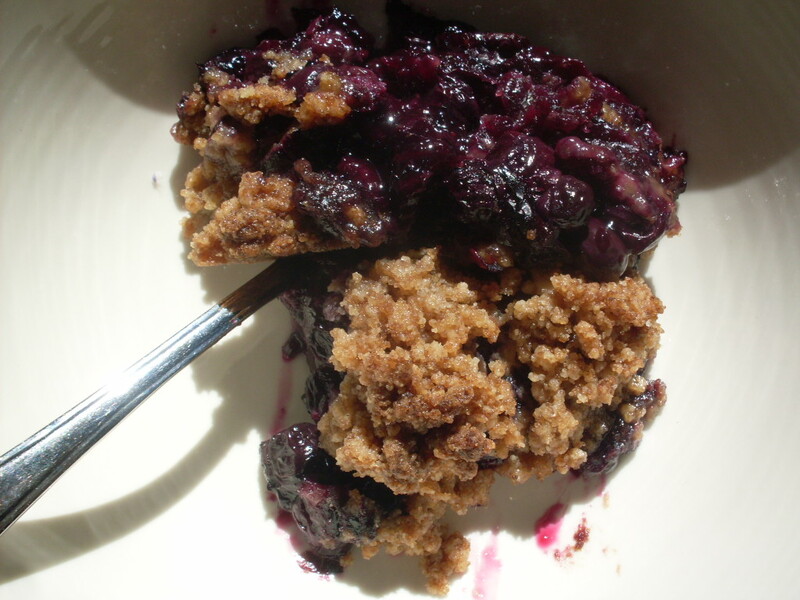 The blueberry crisp looks great, will try with my rhubarb and blueberries. Hope it goes well gluten free.